Well, it’s officially (sadly) turning seasons from summer to fall. I’ve started sleeping with the windows open, wearing light sweaters outside and cuddling under blankets in my apartment. I have a love/hate relationship with the fall. I hate it because it signals the end of summer which means no more beach days, no more flip-flops and no more summer dresses. It also signals the end of my fabulous summer of concerts/tailgates, rooftops, BBQs and much more. I love it though because fall is the season of fireplaces (even though I don’t have one), sweatshirts, football (I’m going to my first NFL game on Monday!) and the start of my Techniques of Baking class at the French Culinary Institute. I’m very excited about the class! It starts this Saturday and goes until March. So you’ll have to check back soon so I can share with you what I’ve learned (and of course see the delicious treats that come out of it!). 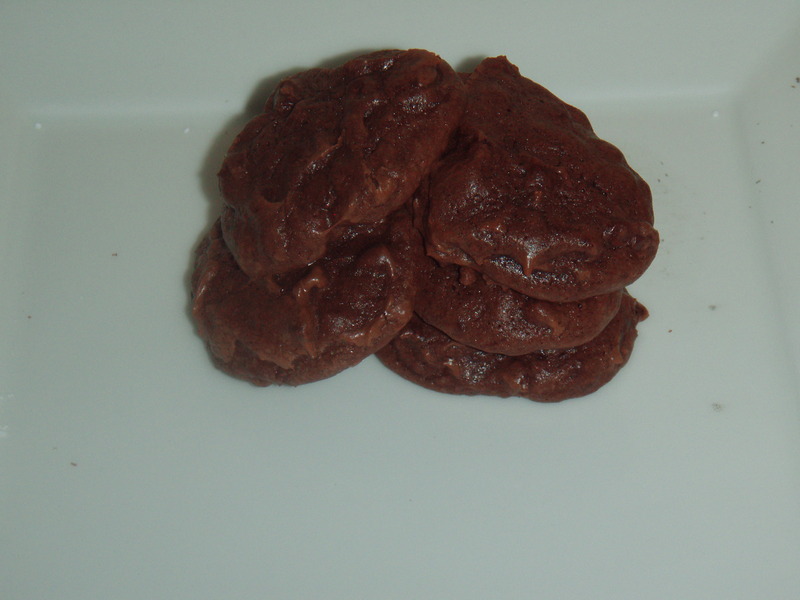 So in preparation of my weekend, I gave myself a little practice last night with these fabulous and easy Chocolate Fudge Cookies! 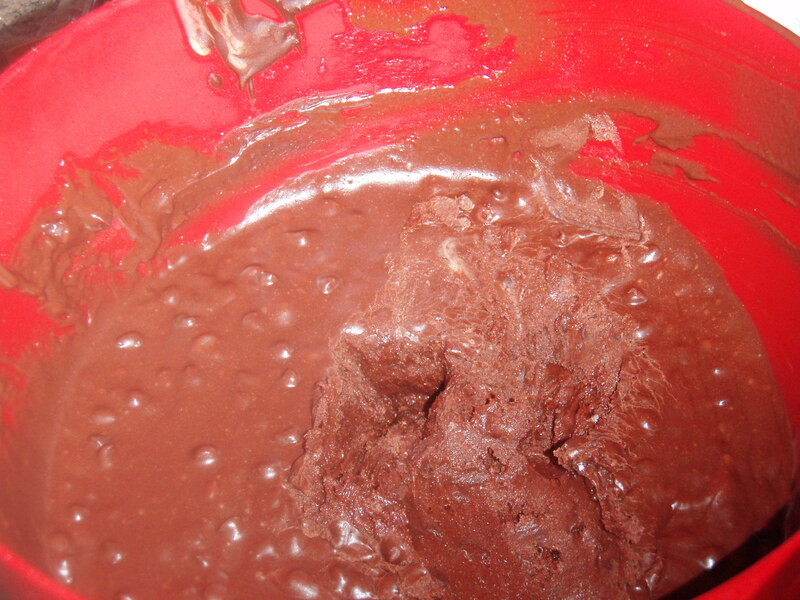 In a double boiler, or in the microwave, melt together the chocolate and the butter. I find that the easiest way to do this, so that you don’t burn the chocolate, is to melt the butter first then add in the chocolate so that the heat of the butter already partially melts the chocolate. If you’re using a microwave, only heat at 30 second intervals. 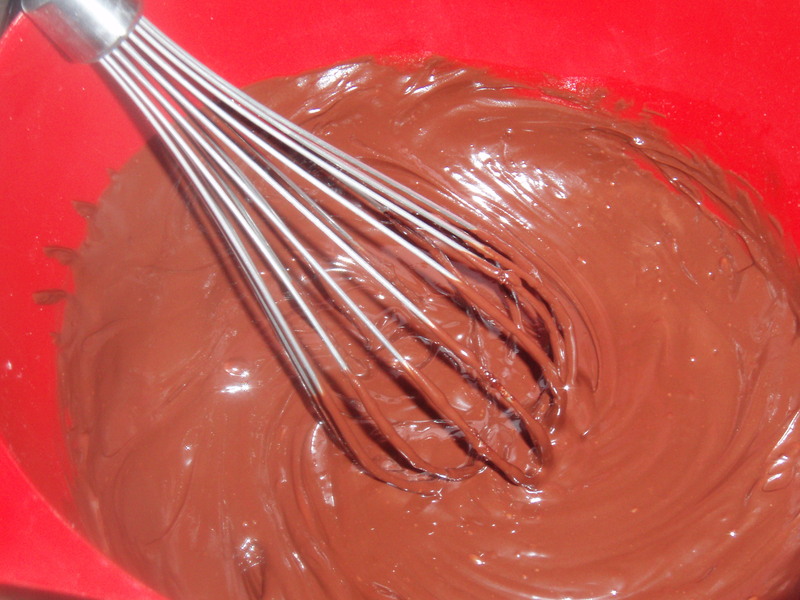 Stir until all of the chocolate is melted. This is the point where you’re going to preheat the oven and prepare the baking sheets if you didn’t already do so. Take the batter out of the fridge and using tablespoon size amounts, scoop the batter onto the baking sheet. Make sure to leave about 2″ between the balls because they will spread as they bake. 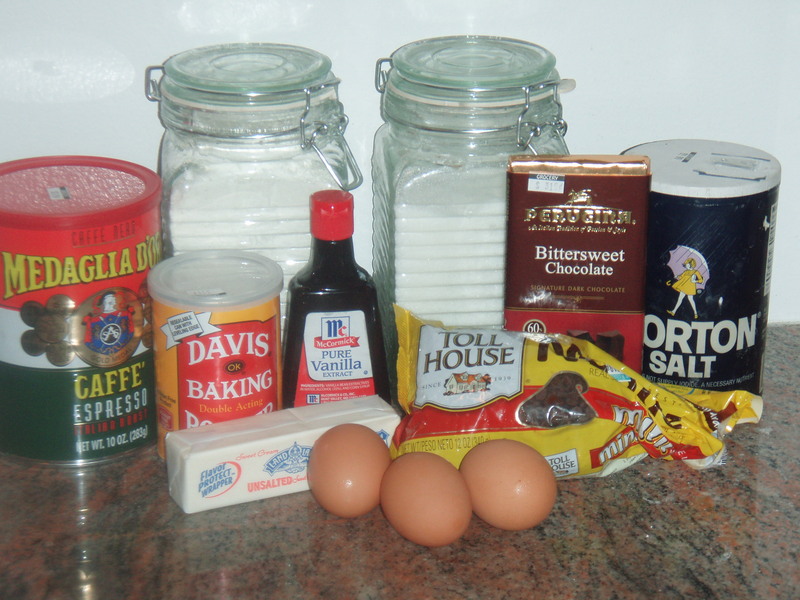 Bake the cookies for about 12-14 minutes. If you’re baking more than 1 sheet at a time, make sure to rotate the pans half way through to get even baking. Keep an eye on the cookies in the last 2 minutes because when they’re done you’ll notice the tops start to crack across the top surface. 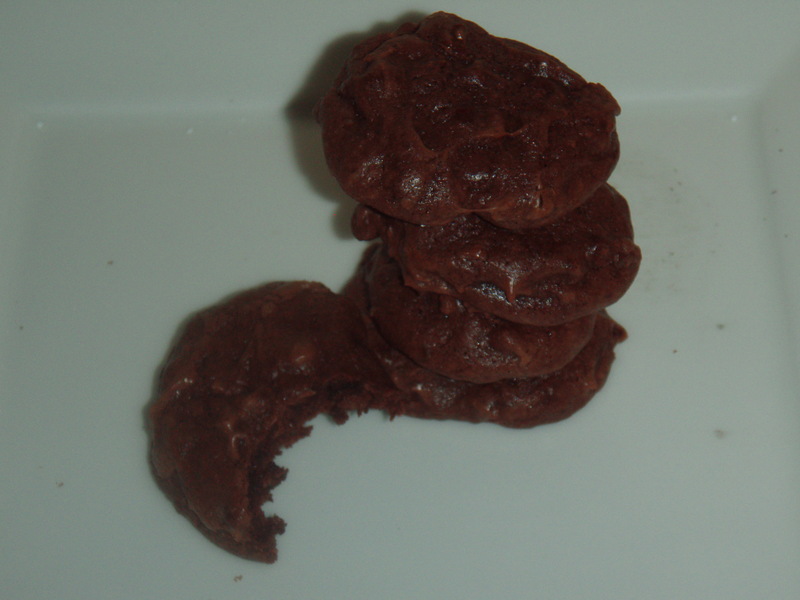 Remember, the cookies will continue to bake even when you take them out of the oven. 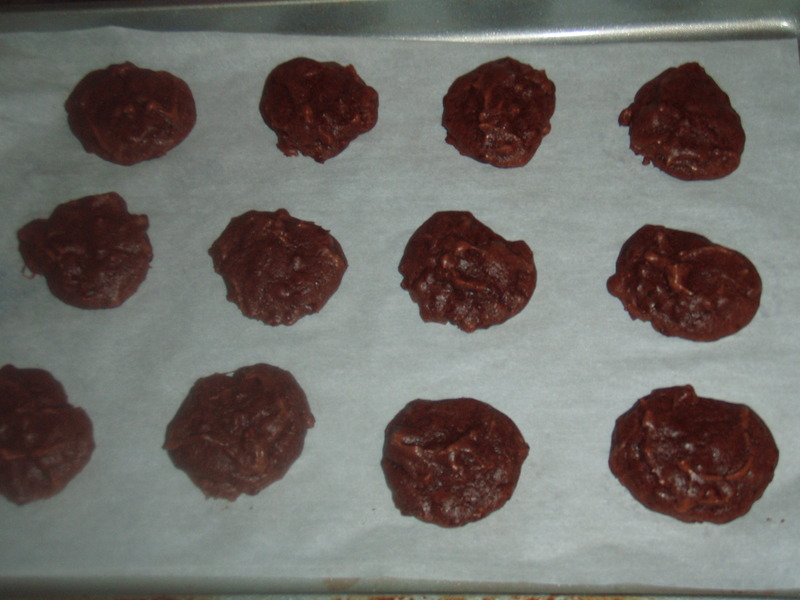 Remove the cookies from the oven and let them cool for about 5 minutes on the pan before transferring them to a cooling rack.